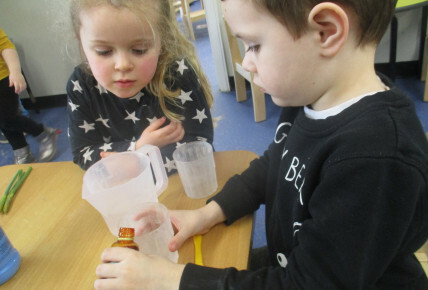 The children at Busy Bees Beverley have been doing some of their own science investigations this week as part of national science week. 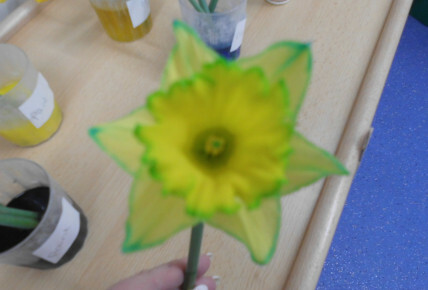 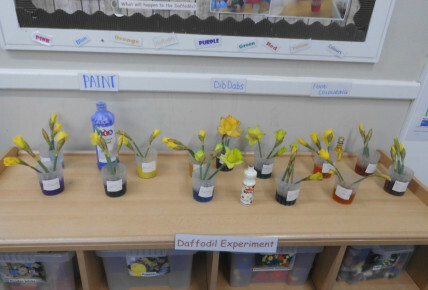 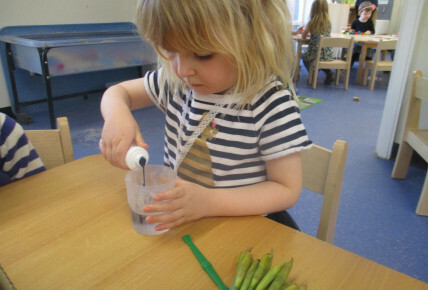 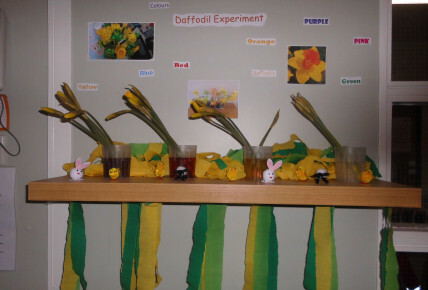 Today they have been putting different colours in water and placing Daffodils in the water to make the Daffodils turn the colour of its water. 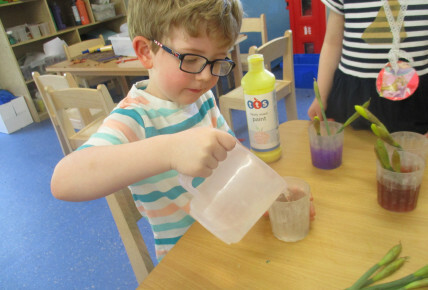 The children tried colouring the water with Paint, food colouring and dib dabs, to see which worked the best.